I have a worm factory 360. My concern is that I am constantly picking the worms out of the worm ladder and placing them where they should be. I also see very very tiny bugs crawling around in the worm ladder area. It was suggested that I break up a Tums to get rid of the bugs. They have lessened but it seems the worms are attracted to the Tums. It's common to get worms all throughout a system. If there's a "worm hole" a worm will definitely find it. Most worms will generally stay in the feeding trays unless there's something unstable in the system. Usually the reason for worms traveling down to the bottom portion (where the leachate collects) is because the environment id favorable to do so. If it's wet, or moist and generally not too acidic then the worms will find a lot of food (microorganisms) in the bottom portion. Try keeping the system just moist and not wet. I know this is the reason for the spigot but worms do better in a moist well aerated system. The less water, the more oxygen can penetrate the bedding multiplying your overall production of worms, castings, and microbes. However, the spigot does come in handy for beginners who overfeed with high fruit or wet foods. Always add plenty of carbon material. One trick you can do is to place landscaping fabric on only the bottom tray to keep worm from going down into the very bottom of the Worm Factory. As for the Tums, the worms are attracted to the sugars and minerals (Calcium Carbonate). 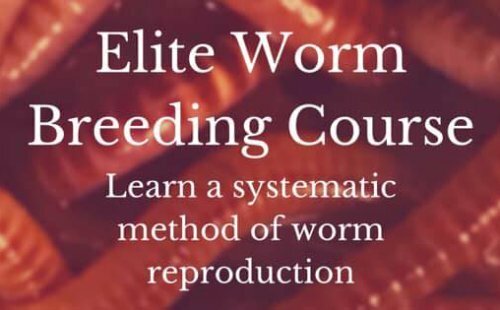 I wrote a 241 page eBook that talks about 19 minerals to use or avoid in a worm bin. Tums is not advised but usually a last resort in bringing the PH level up. There are better alternatives to Tums for adding Nutrition, Grit, and Raising the PH, such as, ground eggshells or agricultural lime etc. Thank you for your response. Could you shed any light on the tiny bugs that caused us to use Tums in the first place to get rid of them? The most common "tiny" bug is the spider mite or spring tails. Both of these can fit on the head of a ball-point-pen. The sudden outbreak in numbers is usually due to high moisture content and/or a low PH in which the Tums helped to raise the PH. Adding plenty of dry shredded carbon in these situations will soak up access moisture and add plenty of air. This will reduce annoying infestations in the future. And always add plenty of minerals. I would agree with the little bugs. Upon arrival from the company I had a little bug fly out of the bag :( Since I have had a few little bugs cruising around in the soil. I know it could not be from anything I have done as they were in there upon arrival. Any thoughts on how to get rid of them? I am not looking to breed fruit flies or whatever they are.